Because you KNOW you wanna be reppin' that crazyface up there. Yes. Yes you do. Now that it's a new month, and that I'm back into the swing of things, I've revamped my 'sponsor/button' page and am looking to swap buttons and make some new blog-buddies! So whatta ya say? 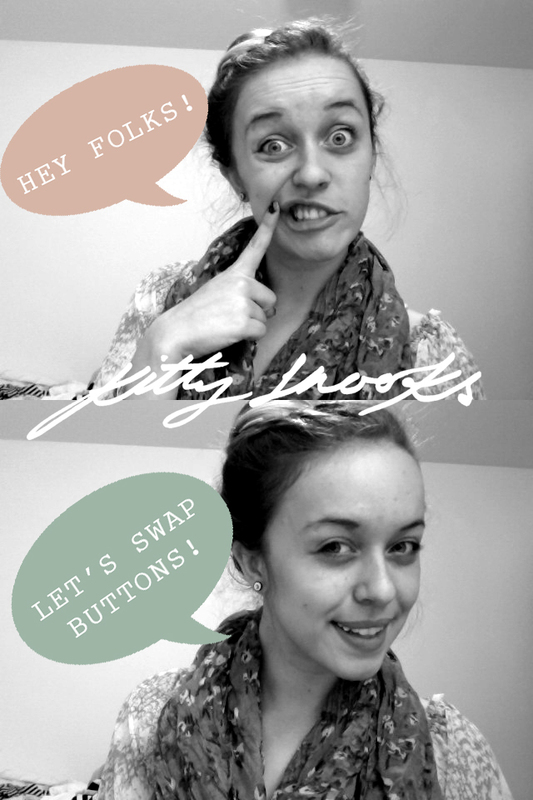 Want to swap buttons with Kitty Snooks this October? Check out my sponsor page to find out more and contact me! Before I forget, I would also like to wish you all a very happy October! This month is such a good one - thanksgiving, Halloween, turkey, candy, orange, orange and more orange, scarves, pumpkins, pumpkin pie.... need I go on? Your new buttons are so so pretty! Just e-mailed you! New Solé Necklaces up for sale!